In the Where on Art? 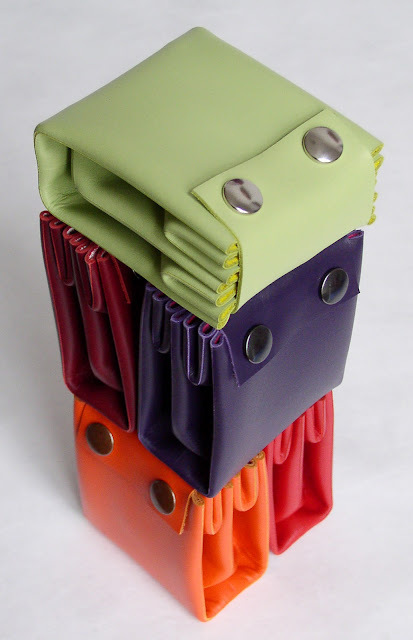 series comes Designs of Ferry Meewisse on display at the Museum of Bags and Purses - Folded bags for everyday use. Opening next Tuesday March 13, it is open through to April 29, 2012. 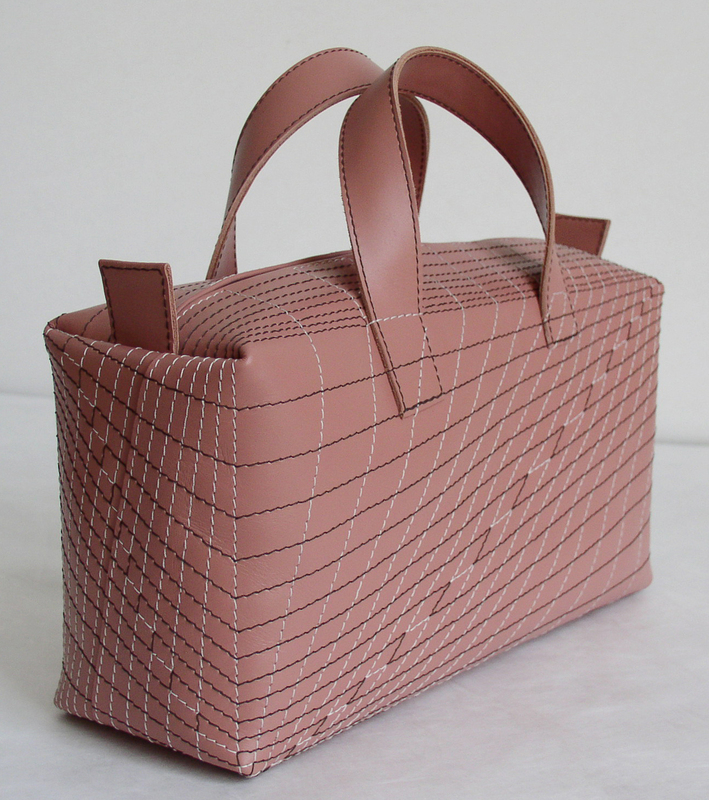 The exhibition features bags by designer Ferry Meewisse. Meewisse's frrry collection began in 2002—after he graduated from art school in Arnhem—with an A4-sized sheet of leather folded to form a wallet. This design characterizes his way of working: a chance discovery is combined with the practical applicability of an idea. Over the years his designs have developed into complex geometric experiments in folding that result in refined bags for everyday use. The frrry designs start with a simple base, such as a rectangle. This is subsequently worked into a folding bag whose seams appear not at the corners, but along lines where the bag folds. Because of this, the bag folds beautifully and always in the same manner. Meewisse's approach to making bags is ingenious and well-considered. Using one of his designs is a pleasant experience. Remaining independent of trends, the bags are, as designs and products, meant to last for years. Furthermore he employs materials that have a nice 'feel', that age well and have been produced in a socially responsible way. Meewisse tries, as much as possible, to utilize the leather's inherent qualities in his designs so that reinforcement material or lining is scarcely necessary. The Musem of Bags and Purses is home to over 4000 objects including bridal bags, pockets, coin purses, reticules, satchels, evening bags and designer bags by top fashion houses such as Chanel, Louis Vuitton and Hermes, This makes is a collection that offers a broad view of this item's history. In 2011 the museum was granted the Time Out Award for 'Best Speciality Museum' in Amsterdam.